Primary care, urgent care, and hospitals demand fast, reliable PT/INR testing for the monitoring of oral anticoagulation therapy (OAT) with warfarin. 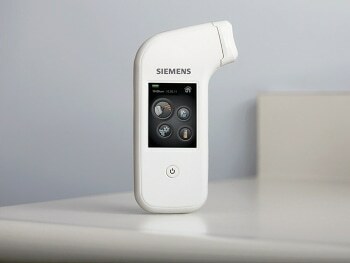 That’s why Siemens Healthineers is introducing the Xprecia Stride™ Coagulation Analyzer, a truly handheld device that tests PT/INR with lab accuracy. The Xprecia Stride Coagulation Analyzer is ergonomically designed, with a large, intuitive touchscreen to enhance the user experience, simplify work flow, and improve overall testing accuracy. Together, these features make the testing process seamless and help minimize errors. Reporting range: 0.8–4.5 INR. Results outside this range will be displayed as Out of Range.